We are technicians, specialised in air treatment; we are researchers in applied chemistry and biologists. The researchers work in the headquarters in Pisa, the technicians in our office in Padua. We met in Pisa, in 2011, where we were studying the pollutants in indoor air, that is air in industrial, food, healthcare and residential environments. Meanwhile in Padua systems and technologies able to decontaminate the air were being studied. Technical and research requests that we were receiving made it clear to both groups that heating, cooling, filtering and dehumidifying air was no longer enough. Energy efficiency regulations for buildings have created new hygiene requirements for closed environments. Energy efficiency in buildings means that we are locked in sealed environments, inside which pollutants are introduced and generated, which may endanger our health. The need to sanitise air has consequently become a necessity if one wants to improve the quality of life and the safety in indoor environments. This is why Jonix was founded on 6th August 2013. Our first goal was to find effective solutions, that were at the same time fast and applicable in all areas where it was necessary to eliminate contaminants. Being aware of the fact that were were explorers of needs that were still unexpressed but that potentially had a significant social and economic impact, we undertook to become professional in air sanitisation. We developed an evolved system of air ionisation, with non-thermal plasma (NTP) technology . Today we are ready to meet any air sanitisation and decontamination need. We have an operational structure that is constantly growing and we continuously integrate new skills. We use a flexible organizational model in which people use their experience on technical design, development of electronics and computer design. Design, marketing and communication specialists are an integral part of the technical development and scientific research. To increase our responsiveness and to improve and grow, we employ external collaborations that complement specific areas of expertise. 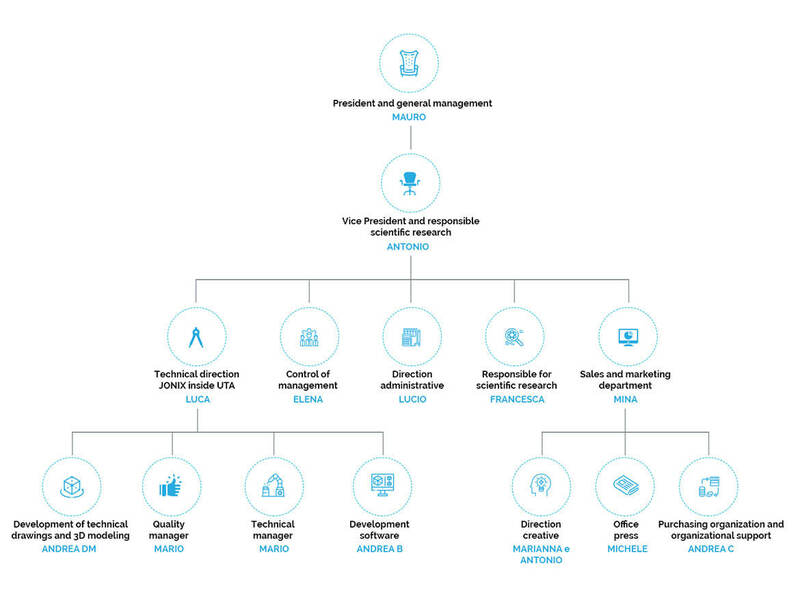 JONIX boasts a corporate structure that is constantly growing: it is based on a flexible organizational model that consists of professionals operating in different areas of engineering, electronics, information technology, design, marketing and communication. Furthermore, to increase our responsiveness and improve the relationship with the existing market, we employ external collaborators who complement specific areas of expertise. On the back of its experience in the field of indoor air quality equipment, JONIX has a dedicated research team that works in collaboration with several universities and supports companies for the certification of indoor environments. We have developed an evolved air ionisation system, fully made in Italy, which exploits the NTP (non-thermal plasma) technology. At JONIX, we design, develop and manufacture devices for air purification, depuration and decontamination with cold plasma technology. This is currently considered the safest and most effective way to oxidise and decompose pollutants. Jonix devices reduce and eliminate chemical, (VOC) as well as biological pollutants (bacteria, fungi, microorganisms, viruses and odours), present in indoor air. NTP non-thermal plasma air sanitisation devices by JONIX are used for disinfecting air and surfaces where there is the presence of microbiological contaminants and where the degradation of chemical pollutants such as VOCs (volatile organic compounds) and organic odour substances in general is required. Our products meet the different needs of people and the specific needs of each environment. The technologies that are currently available include embedded systems within the air conditioning systems and filtration units. They are modular, scalable, easy to maintain, and have no adverse effects. They are connected to sensors that provide modular operation based on the measured concentrations.